Within each one of us burns the spirit of creativity...special gifts and talents given to us by our Creator. No matter how insignificant we perceive our own talents and abilities to be, these gifts are capable of reaching out into the world to influence the lives of people around us. These abilities are not limited only to the arts but also include the creative talents of being a good parent, spouse, care giver, teacher, and loving/helping others who need us. 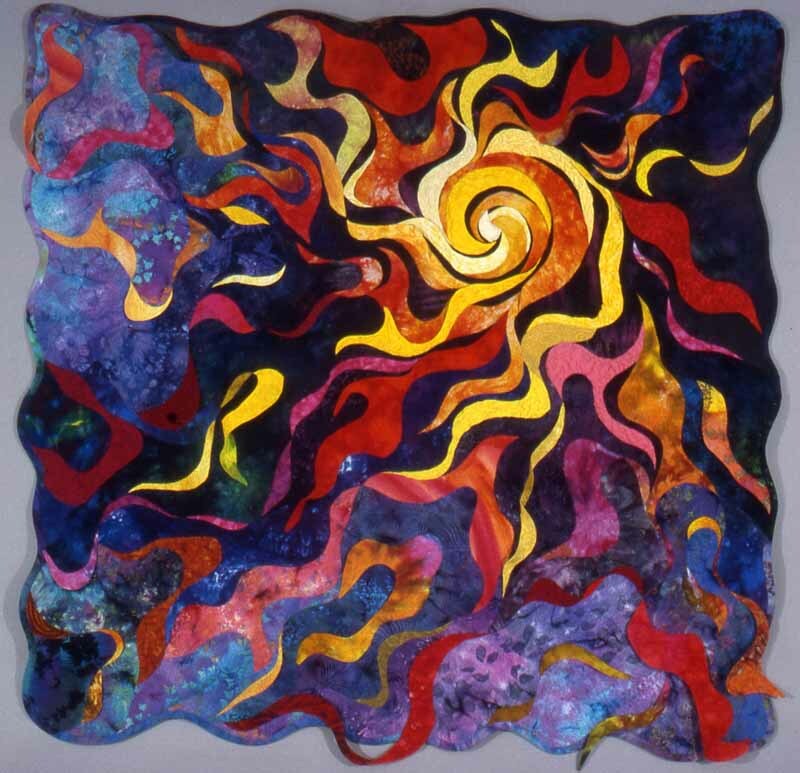 In my quilt I depict this concept with the spiral (our creativity) burning deep within us. Our gifts and talents (flames) radiate outward through the world, affecting others in ways we are not aware. 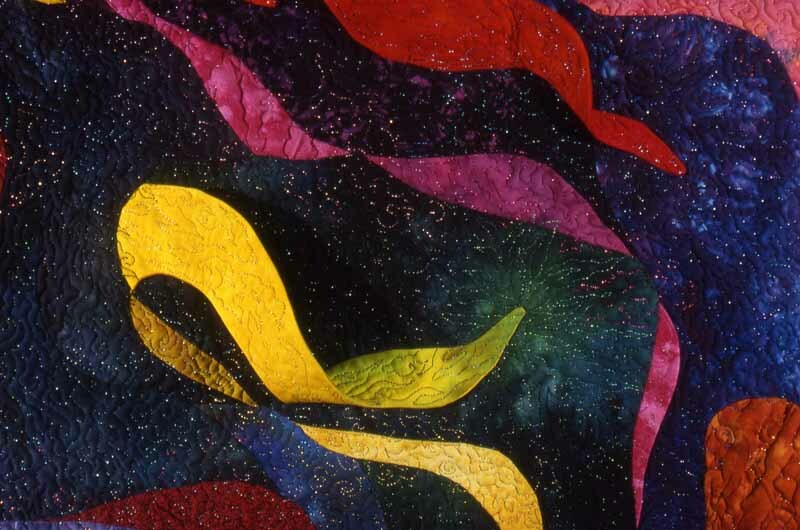 The spiral and many of the flames are three-dimensional and rise off the purple background of the quilt surface. Some flames are twisted or turned and some move off the quilt to show our ability to touch others is boundless.